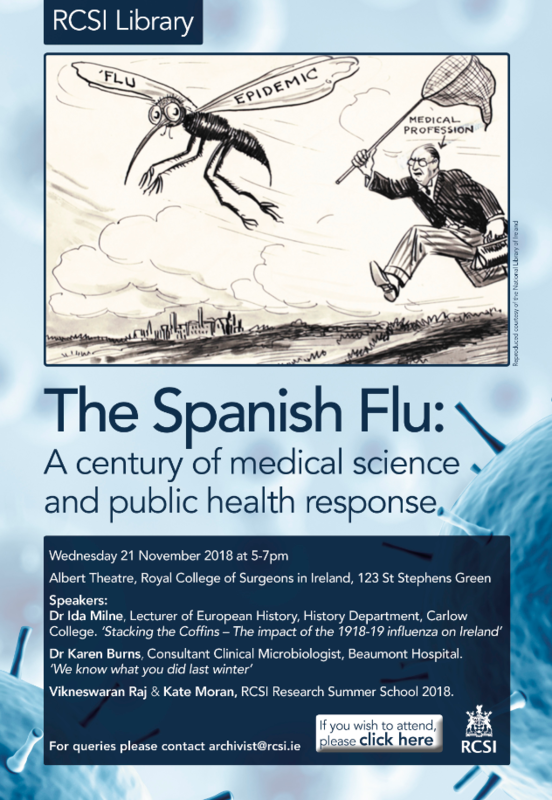 To mark the centenary of the Spanish Influenza or ‘Great Flu’ of 1918, RCSI Library is hosting a seminar addressing historical and scientific aspects of the epidemic, The Spanish Flu: A century of medical science and public health response. 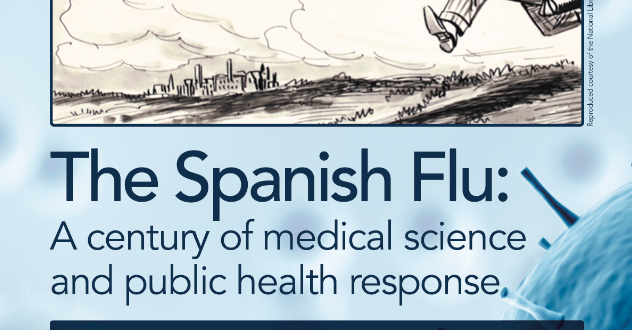 The Spanish Flu is known to have killed between 50 and 100 million people – approximately 35% of the population. Despite its name, the outbreak affected virtually every country in the world, devastating many populations at the end of World War I. The seminar will feature historian Dr Ida Milne, Lecturer of European History at Carlow College speaking on ‘Stacking the Coffins – the impact of the 1918-19 influenza on Ireland’; Dr Karen Burns, Consultant Clinical Microbiologist at Beaumont Hospital talking about the current clinical impact of global influenza ‘We know what you did last winter’ and two Research Summer School student from RCSI who conducted work on the historical impact of the outbreak and how the pandemic influenced the field of public health in the decades since.